So I saw way more films at the cinema this week-yey! And I either used Movie Pass, points or A-List (yes I singed up for A-List) to see them. I did pay for Oli to see one of them with me but aside from that I enjoyed what I saw. 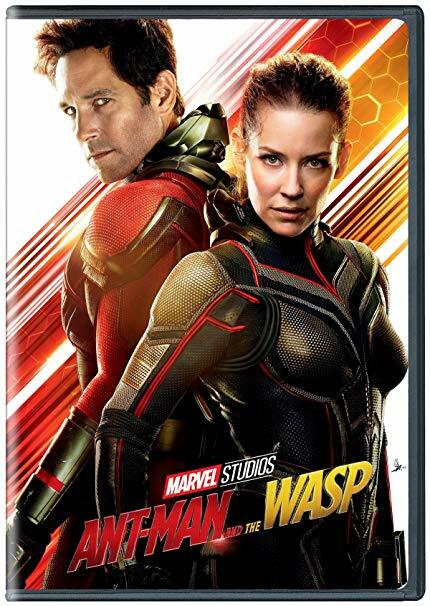 I still have one Marvel film left to watch, I think we all know what that one is since I've been chatting about these Marvel films for a month now! If you want to hear more of my thoughts then check out my reviews video which I will leave down below once it is uplpoaded! Puzzle was really quite different from what I thought it was going to be. 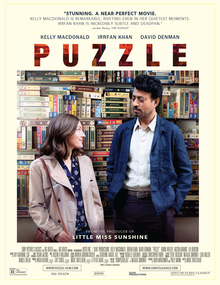 The puzzles were more of a catalyst for a women's self-discovery than the main subject of the film which I was a little disappointed in. 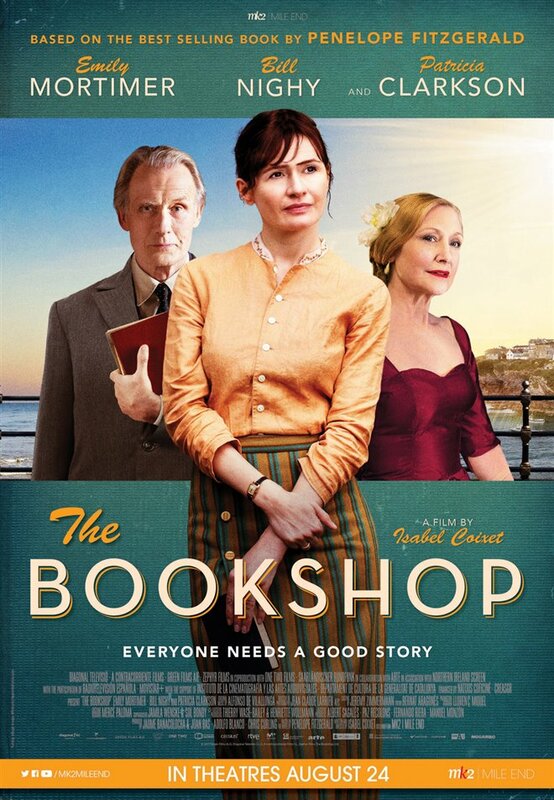 Kelly MacDonald was fabulous in this one and I loved the way the film shone a light on ingrained sexism in society not just directed towards women but men too. I think only four or five puzzles were actually shown throughout the film but I do hope that the jigsaw shop she visits in New York actually exists because I would like to go there! This one was even more of a disappointment and I had a private screening of this one since no one wanted to see it at 10pm on a Sunday night! 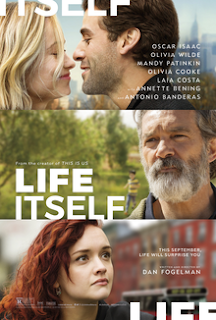 This was billed as something which was going to be a weepy and Oscar Isaac and Olivia Wilde were the stars and I just don't feel like any of that was actually true. I cried once but that's because someone died so... It also only features these actors in 2 of the 5 or 6 (depending which way you look at it) sections. The other sections feature Antonio Banderas and are in Spanish with subtitles which I was not expecting. It all felt a little disconnected and only really came together in the final scene right at the end of nearly 2 hours. I really felt like I was miss-sold this ticket. I will have a full book vs movie video of this one up on my channel very soon so watch out for that one! The costumes in this film were stunning, I wanted all of them and I felt like I really needed to add a cape to my wardrobe! Billy Nighy is also absolutely fabulous in this film, I couldn't have imagined anyone else playing his character and he really made the character stand out way more that I thought that character did in the book. Obviously this film is fairly bleak and a little sombre, it doesn't have a particularly happy ending so don't go into this one expecting that but if you are a book lover or a bookshop lover then there is definitely something here for you. 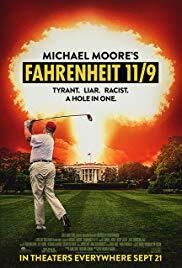 If you're a fan of Michael Moore films then you know what you're getting yourself into in this film, this is obviously a bit of a follow up to Fahrenheit 9/11 but examining things that have gone on in America since Trump was elected as president. It examines the campaign and election a little but mainly talks about major events, negative events, since he was elected. I think this film did a really great job of profiling things like the Parkland Shooting, the Women's marches and the white supremacist rallies and highlighting the effect they've had on people without giving major opinions or trying to offer solutions. I felt informed but not preached to. And obviously being a Michale Moore film, it highlights the crisis that Flint has been going through. I thought it was a really good film. The only one of the week I didn't see in the cinema because I wanted to watch this one before going to see the follow up on the big screen. I thought the comedy in this film was fab. It works well as a standalone and I think even if you hadn't seen the other films in the franchise you would enjoy this one for the adventure and the comedy. 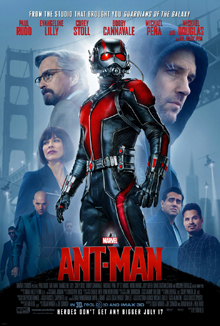 Paul Rudd is fantastic and also Michael Douglas is great! It follows the same trope as all the other single person Marvel films does in that theres something like me bit bigger and evil and I must defend the city against it, but that was comforting in a way and I really enjoyed it. And so then I could finally go and watch this one on the big screen. This was even funnier than the first one and obviously has a due at its helm this time. I like the fact that we have a couple of excellent strong females in this film, I think it really is a film about equality as much as anything. Even though I was the only person in a 60 seat cinema seeing this one, I laughed out loud and I really enjoyed the links with the last film as well as Captain America Civil War, i thought they did a good job of tying up the corners there. I loved the character of Luis in both of these films and would really like to see him in future films, let's get him a suit! So now I just have one more Marvel film left to watch, which I will review next week! Have you seen any of these movies? If so what did you think?